Another one for my “Tall trees that look like characters from Lord Of The Rings” series for you today. I find something very majestic looking about this particular cluster of trees, they seem so much more powerful than those in the background. It seems to me that some trees are perfectly happy to stretch up a certain distance and then spend the rest of their lives spreading outwards, that’s not a way of life for this particular bunch though. There seems to be some kind of fierce competition going on to find out which one can reach the highest first, I often wonder is the air more clear up there. There is a beautiful sparse look to the lower parts of the trees, barely a branch to be seen until you reach about half way up. On a completely separate note I must say I am feeling very bad about the fact that it has been almost a month now since I have visited the park with my camera. I have been several times for family visits but as far as long strolls in the park with my trusty old Canon friend, well it’s just been too long. I should explain I was away in County Mayo for two weeks, in a most beautiful place called Carrowmore Lake. I will post some of my photos from the Mayo trip on my Flick page as soon as I get them all processed. 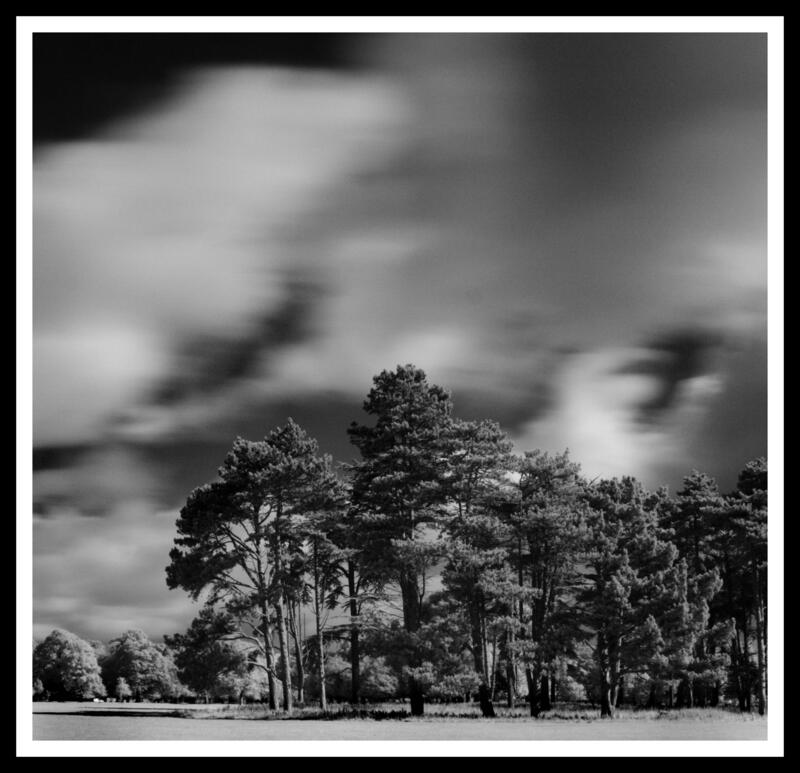 This entry was posted in Black and White Photography, Infra-red Photography, Irish Landscapes, Phoenix Park and tagged Black and White, Infra-red Photography, Medium Format, Phoenix Park, Photography, Tall Trees, Trees. Bookmark the permalink. ← The Phoenix Park Polo Grounds.